It's incredible how a 96-year-old man on the other side of the world has become a strong influence and played such an important role in my life! 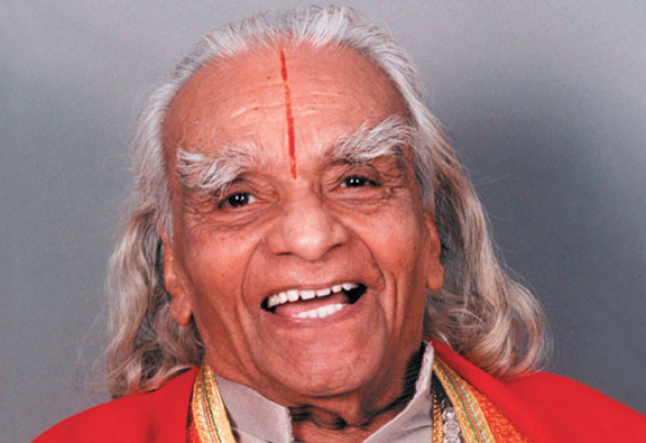 I never had the chance to meet BKS Iyengar in person, but I have felt him close, watching and guiding me over the last five years. As I embarked on this yoga journey – discovering, flourishing and at times stumbling, his face, feet, hands and instructions have been imprinted in my mind and body. And as I practice each day, his life’s commitment, learning’s and teachings help me to find my own way through the asanas and life. As the tributes and photos pour in from around the world, I am awestruck by the impact that one person can have and the massive difference that same person can make to the lives of thousands, possibly millions of people from all walks of life. His was not a wasted life, but one lived fully with a clear path and purpose. His effects, not only shows the power of this spiritual practice we call yoga, but the amazing capacity of humans to come together and share something bigger than ourselves, despite our distance and cultural differences. Although he is spiritually and physically gone now, he will forever be a part of my world. He remains with all of us through his insightful and intelligent books and teachings, his children who also share his passion for yoga; Geeta, Prashant and Abi, through my own teacher Caroline Coggins and all the Iyengar teachers and students worldwide, and hopefully through my own teachings in the future. Today I cried as I grieved for the loss of a complete stranger but also my best friend, and I celebrated with an energising backbend practice – allowing the light of yoga, his eternal gift to us - to shine on. His loss will be deeply felt by many but his gifts will also be remembered and enjoyed by many more. We have been truly blessed. Thank You Guruji and Rest in Peace.